The family of Terri Schiavo released this statement. “It was clear that this man had a dysfunctional obsession and infatuation with death and that his true involvement in these deaths was never properly reported,” stated Terri Schiavo’s Life and Hope Network’s Executive Director, Bobby Schindler. “This statement only further exposes how the influences in society and the media used the torturous death of my sister, Terri Schiavo, to validate the ‘Right to Die’ mentality and Kevorkian’s lust for the death of others, which drove his agenda,” Schindler explained. Contrary to this mentality, Terri Schiavo’s Life and Hope Network aggressively advocates for vulnerable persons, the disabled, and those who are dying. “History will surely judge Kervokian as a very dark figure. We are very encouraged that today we see a greater awareness that every life deserves dignity and protection,” stated Suzanne Schindler Vitadamo, Terri Schiavo’s sister. 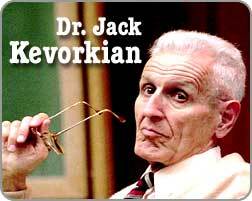 “While Terri Schiavo Life & Hope Network denounces all of his work, we do recognize that every life is precious and therefore extend our prayers and condolences to the family of Jack Kevorkian,” added Vitadamo. No matter what the circumstances, the ethic of life is consistent. It involves faith and the hope of reconciliation. Catholics have responded to the June 3 death of assisted suicide activist Dr. Jack Kevorkian with prayers for him and his victims, affirming the Christian belief in the sanctity of life. “Left out in much of the commentary on the death of Jack Kevorkian is the sobering and deadly legacy he leaves behind,” Ned McGrath, director of communications at the Archdiocese of Detroit, said in a June 3 statement. When Justice Harry Blackmun passed away, a Catholic cardinal said ‘at least he now knows when life begins.’ The thought occurs that at least Kevorkian now knows when life is meant to end. And who decides. OrÂ killing, in other words. No matter how the assisted suicide people play with semantics, they’re ending lives. And feeling good about it. Take ‘Reverend Death,’ for example. A well-known assisted suicide activist is making plans to open a â€œright-to-dieâ€ hospice in Gastonia. The Rev. George Exoo says he wants to help terminally ill people end their lives in a quick and painless manner but some in the medical community are concerned about his plans. “I have a heart and a passion for those people, and so reaching out to them may be in the spirit of the Good Samaritan. That’s why I do this,â€ he said. This isÂ sinister andÂ seriously misguided, and we need to tighten up laws to protect the vulnerable against such predators. Call things what they are. Adding palliative care early to patients’ standard regimens not only improves their quality of life but lengthens their life as well, according to a study published recently in the New England Journal of Medicine. Patients in the palliative-care group had a 50% lower depression rate, and that didn’t result from the use of antidepressant drugs, said Dr. Jennifer Temel, lead author of the study and an oncologist at Massachusetts General Hospital in Boston. “It’s clearly something about how the palliative-care clinicians were communicating with them and managing them that improved their mood,” she said. The study may help physicians better understand what the medical specialty of palliative care can offer to patients who are struggling with intense physical and emotional suffering, Temel said. The former Hemlock Society is using this toÂ suggest toÂ struggling patients a way out. The group renamed themselves ‘Compassion and Choices’ to soft-sell death. Their director recently wrote this letter to the New York Times. Leven starts by giving kudos to the medical community for offering palliative care, and New York Governor David Paterson for signing into law legislationÂ assuring that patients will be informed of their right to receive it. All the way to the end of the final sentence of the letter, Leven strikes the tone of advocacy for patients and their end of life care. 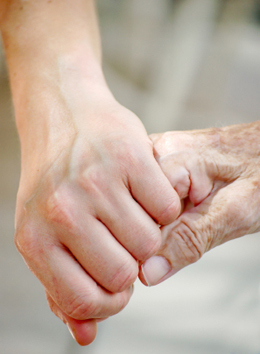 The law will result in the provision of more and earlier palliative care, which The New England Journal of Medicine study found greatly benefits patients, and more and earlier referrals to hospice, as well as greater respect for patient wishes. Those last five words hold the key to their agenda. So by sponsoring and advocating for this end of life care, the former Hemlock Society is positioning itself to introduce assisted suicide as one of the options patients may choose, and helping them ask for it more often.